1) Zombie. No picture needed. Look in the mirror. A zombie is a human being divested of its humanity. The least and most abused of the undead creatures. Appropriated for everything from video games to local car commercials, the zombie has become a ubiquitous paradox of the human experience. 2) Lich. Pronounced lick, as any pretentious nerd from 1985 will tell you. The opposite of the zombie on the undead spectrum, lichs are the undead form of a powerful human, usually magicians, who have managed to transpose their human soul and intellect into a form that survives death. The soul is usually carried in a phylactery; an amulet charm, or sacred vessel, and if the lich's body is destroyed, the soul will return to the phylactery. Unlike zombies, who lose all humanity after death, a lich retains its human personality and intellect. The DAT you see in many of these illustrations is for David A. Trampier, who was one of the earliest illustrators to work for TSR, and had a very early influence on the look of the projects. 3) Ghoul. Nobody really knows what a ghoul is, how a ghoul is created, or what differentiates a ghoul from other undead creatures. Some of the earliest depictions of the ghoul come from Arabic mythology, and involved greedy humans with unusual fetishes who fall into lives of the most perverted depravity after making a deal with a djinn that removes them from their soul and humanity. In almost all versions of the ghoul myth, the ghoul remains close to a source of human carrion, such as a cemetery, and feeds on the remains of the dead. This illustration is by John Bolton from the movie The Monster Club. 4) Revenant The revenant is another vaguely defined undead creature, with no clear origin or description. The one thing that sets the revenant apart from other undead creatures it that it returns from the grave with a particular act of vengeance to perform. Once this act of vengeance has been achieved, the revenant will return to the grave. In most other respects a revenant will be indistinguishable from a zombie. I actually thought there might be some more interesting historical literature about this creature, but it turns out not to be the case. 5) A wight is a creature given some semblance of life through sheer hatred and love of violence. I can identify with half of that. 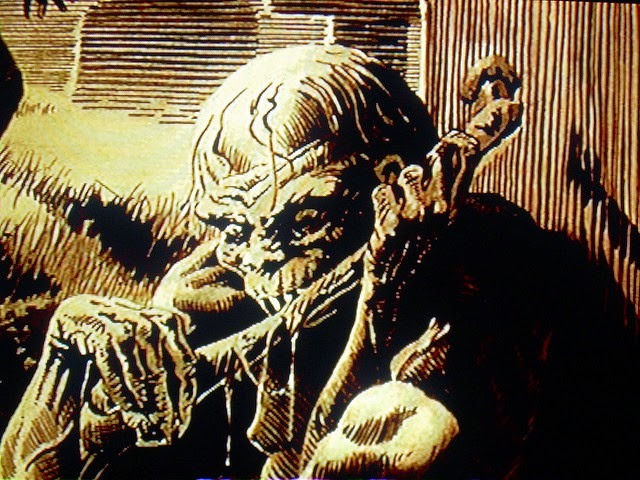 It appeared first in the Tolkien Middle Earth mythos, and was one of the earliest undead creatures included in the Dungeons and Dragons world. Now the derivation of the word "wight" simply means creature or being, and a wight seems to be a creature brought into being merely through hatred and with the single goal of draining the life out of others. Sounds very similar to an energy vampire, so it seems these undead creatures have been with us for a long, long time. 6) Wraith. From the Scottish word for ghost, a wraith is traditionally defined as the spectral likeness of a human being seen before or just after death. 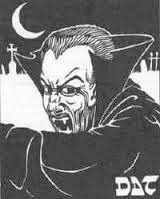 Included in the 1974 boxed game of D and D, the wraith is an undead creature with a chilling touch that drains one of his life essence. 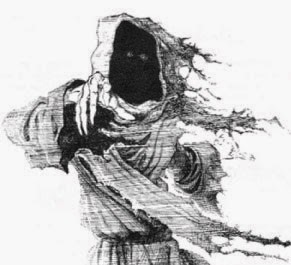 Wraiths differ from wights and lower forms of undead creatures in that they are incorporeal. Those drained of their life essence by a wraith will themselves become a wraith. 7) Spectre. A powerful undead human that haunts the most desolate of places, such as tombs and dungeons, and drains the life energy of opponents. A spectre differs from a wraith in that it is the undead life essence of a particular person, and remains distinguishable as that person, at least to those who know him. Spectres appear to be attached to certain places and have been assigned a task associated with that particular place.